With summers, the problem of sweaty and reeking hair surely arouses a lot of discomfort along with manageability problems; especially for people with long hair. However, Hair mists are your deal of the season to feel revitalized and confident without fretting over the smell of clammy hair during hot seasonal hours. Designed and formulated specially for the hair, hair mists are some of the must- to-own hair products with fragrances mild and revitalizing to overcome the intense stench of damp hair. Losing your confidence of looks due to damp and sweaty hair? Well that is certainly something inevitable in summers; however, you can counter this gross feeling by freshening up your hair with hair mists that have a wide range of tropical light fragrances to help you enjoy hours of re-energized locks without weighing them down. With a wide range of flavors and intensities in hair mists to avail, below are some very likeable ones you can to add to your hair care kit. Big things come in small surprises and this is one of the hair mists that offers just that. Enriched with a silky yet light dose of perfumed aroma, it is soft and sensual. It’s a special type of touch to add to your hair during for your routines both casual and formal. 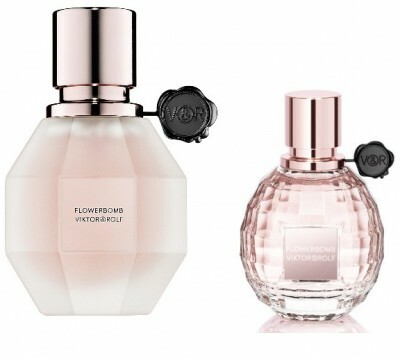 Giving you the best dose of flowers, these hair mists have an explosion of aroma to avail. Total uplifting and energizing of the mood is a guarantee. This is one of the mildest and less long-lasting ; but very instantly refreshing collection of the Aquolina Pink Sugar Hair Perfume , which as the name suggests is replete with a dose of sweet and fresh candy scents. It’s a perfect choice for professional people as it allows you to walk in confidence without throwing away trails of hard scents. Also a good choice for young girls who like it light. If you want to go prodigal and sensual in your deal of the hair, this is one of the slightly lighter editions of the Mugler’s Collection having the same impeccable scent that is sensual and long lasting. Just a small quantity does great work for longer durations to perk up your locks with a divine fragrance. How’s the idea of adding a touch of fame to your hair ? Our next in line product is a celebrity brand endorsed item, purely feminine carrying floral and fruity scents ideal for women who prefer enlivened aroma. It can be used between washes to keep the hair refreshed and manageable. So, if you’re a fan of Taylor, gratify her by owning her stamped hair product. So what are you waiting for? Go update your hair care kit with these fabulous hair mists to tackle swamped and unmanageable hair by scenting up your summers.